Mountains, Christmas Lights – Germany in Winter is Magical! 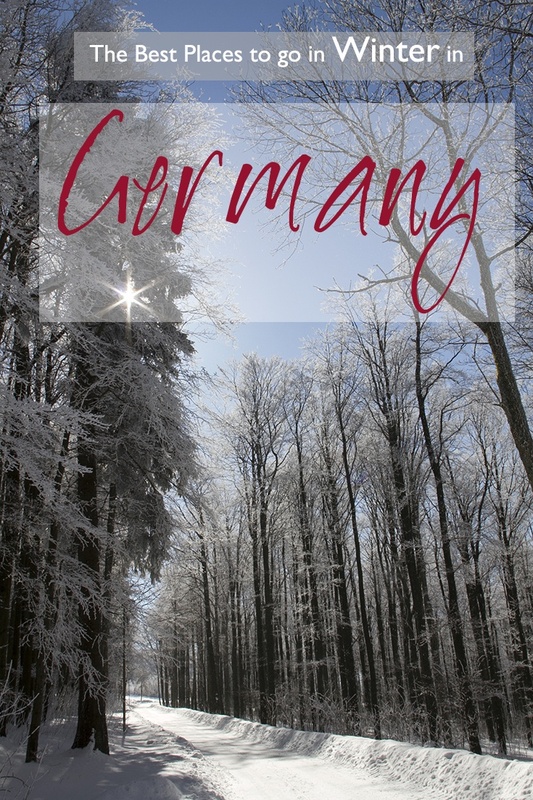 Have you ever thought of traveling to Germany during the winter? You should. Hands down, it’s the most magical season in this central European country. 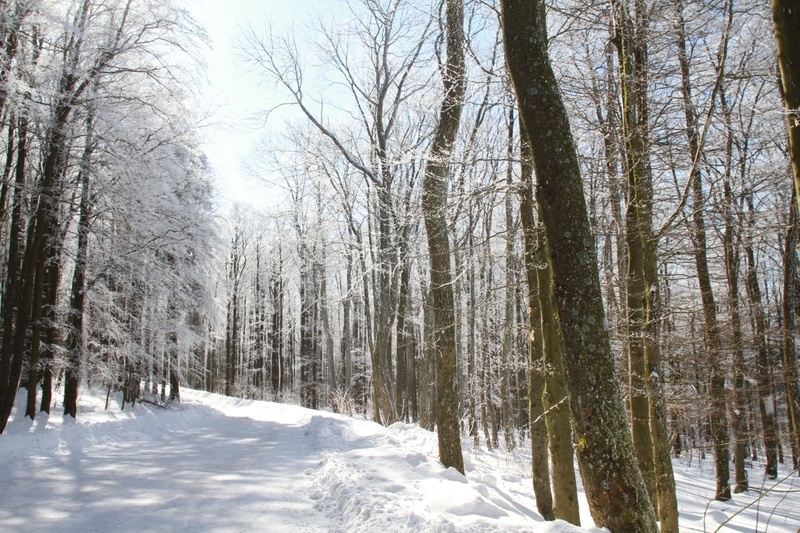 Forests and mountains are covered in pure, white snow, but the temperature isn’t too cold. You can easily spend the day skiing, hiking, snowshoeing or sledding in the many outdoor parks and recreation areas, but that’s not all. From November to the end of December, every city, town, hamlet is blinged out with Christmas lights, a life-sized creche scene, and little wooden stalls ready to sell you everything from a hot mulled wine to locally made handicrafts. Germany knows how to do a Christmas market and there are hundreds to choose from. We asked some professional travel bloggers where their favorite place in Germany to spend winter is, and they all sound wonderful. Which one do you want to go to? Germany – a winter wonderland. 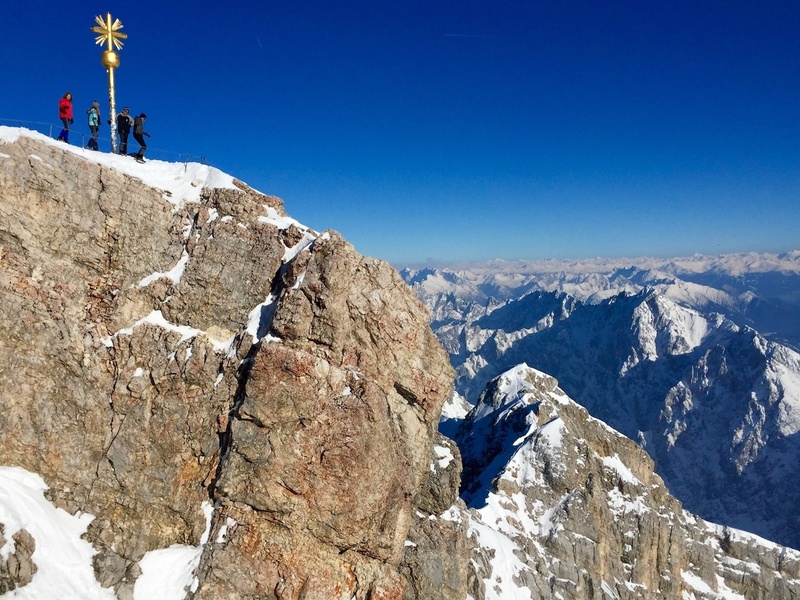 Bundle up and head to Garmisch-Partenkirschen for a winter holiday. It would be remiss for anyone to discount Garmisch-Partenkirchen as one of the best winter destinations in Germany. The Bavarian nature capital is home to so many incredible sights, including the launchpad and cable car that will take you to Germany’s tallest peak, Zugspitze, which proudly hugs the German border with Austria at 2,962m (9,718 ft) tall. For a town with such a minuscule population, Garmisch sure does offer a lot for the winter traveler. Some of the other popular sites in Garmisch (aside from the incredible skiing and snowboarding opportunities there) are the Partnach Gorge, Lake Eibsee, and the Linderhof Palace. The best thing about Garmisch during winter is that it totally exudes that Bavarian Alps flair that everyone seeks when they come to this region of Germany. It just does not disappoint! Check out Megan’s Instagram, too! 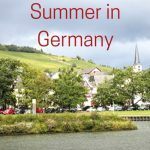 Cochem, a gorgeous city situated on the Mosel River, is a great destination no matter what season it is. 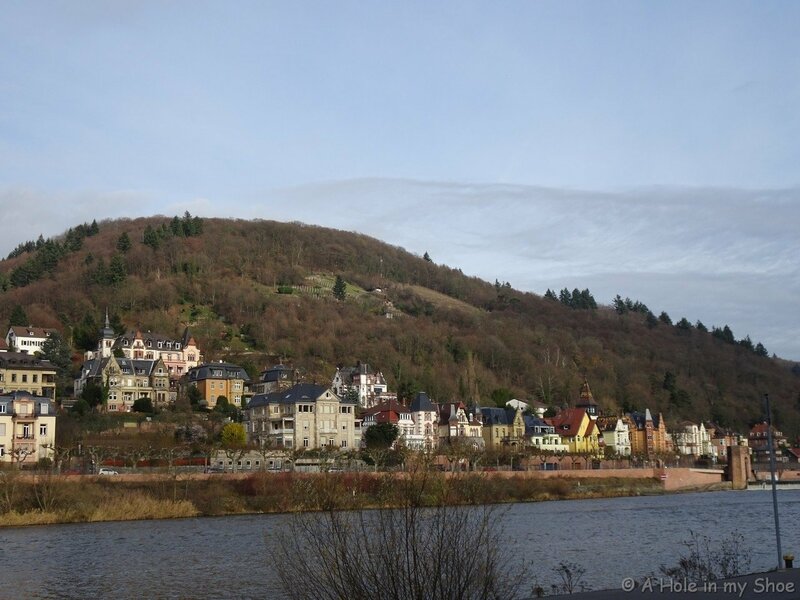 Situated on the Moselle River midway between Trier, Cologne and Frankfurt; Cochem is a beautiful destination at any time but especially lovely during the winter. The winding streets of the medieval town are filled with Germany’s eponymous half-timbered houses; made particularly magical with a dusting of snow and the added Christmas decorations. A small Christmas market also appears in the lead-up to Christmas, complete with a cute little festive train to ride through the town! There’s nothing lovelier than exploring the shops and stalls for gifts and then heading into a local restaurant for a cozy meal by a roaring fire. 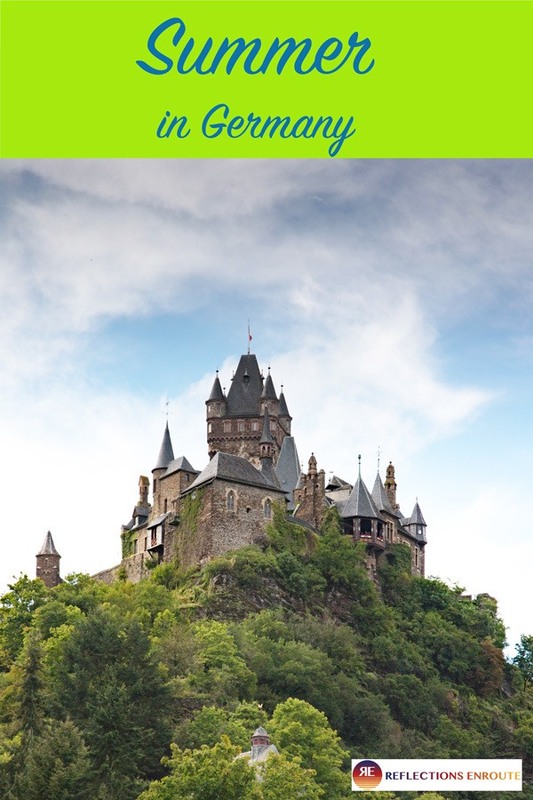 Don’t forget to visit the stunning castle on top of the hill while you are Cochem, the guided tour is definitely worth it, or you can simply look out at the views over the town and river from the entrance for free. There is also a chairlift that will take you up to a looking-point on a hill opposite the castle for more stunning views. Dresden, a great winter city in Germany, hosts one of the most unique Christmas market traditions. Sitting on the banks of the Elbe river, Dresden is best known for its dramatic reconstruction after being badly damaged during World War II. While it’s rise from the ashes is still palpable, the city now stands in its former baroque glory. In Winter the city really comes to life with festive Christmas markets and hot wine-fueled ice-skating. 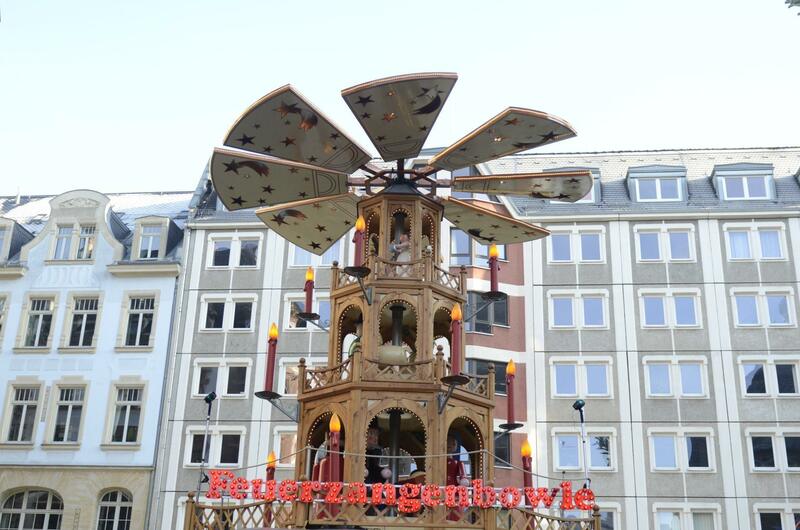 The main market on the large old town square is said to be the oldest Christmas market in Germany. Built from the ground up each year the market resembles more of a village than a temporary festival. There are a number of other Christmas markets spread throughout the city. My favourite is the Medieval Market which is held in the Stallhoff, the courtyard used for jousting tournaments. Stallholders dress in traditional outfits and food here is cooked over open fires. 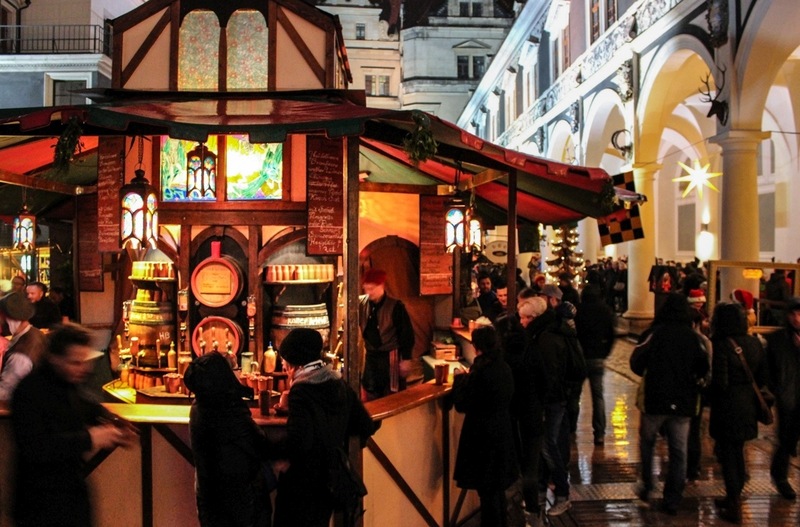 Gluhwein is served alongside honey mead and hot sweet whisky brews. Try your hand at archery or cast off your modesty and grab some friends to soak in the wooden barrel hot-tubs! Check out Kaylie’s Facebook page! 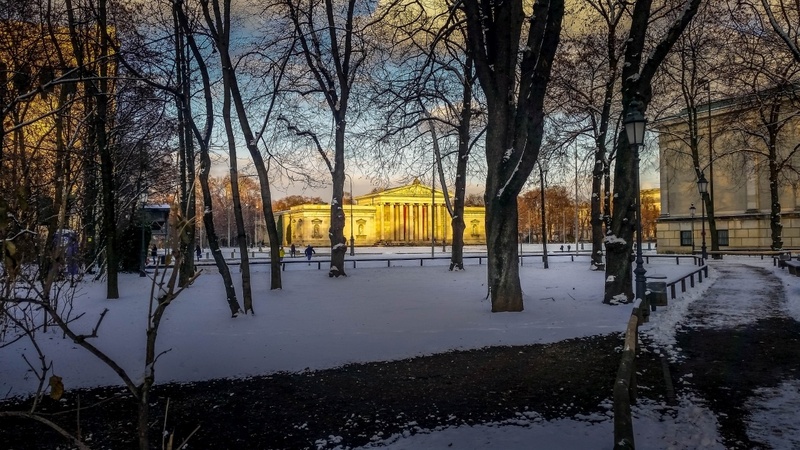 Munich, the capital of Bavaria, is a fantastic winter destination. Munich is not all about beer and beer halls. You can wander the city and go to an amazing museum to stay warm, you can go to the Munich Residenz and see the most lavish decorations in a Palace, you can walk the city and watch the sun go down lighting Kings Square with a glow like nothing else. You can watch families ice skate out in front of Nymphenburg Palace or have a snow ball fight out the back in the gardens and then you can still pop into a beer hall for a beer! 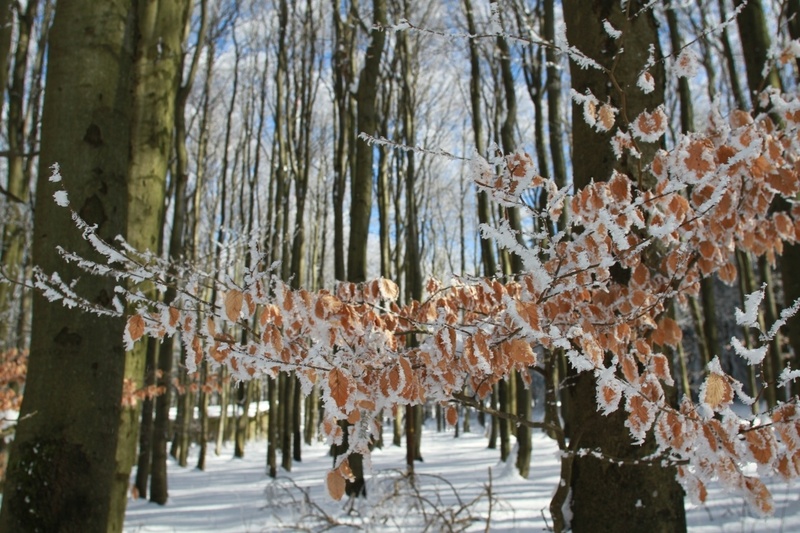 For me Munich, Germany is perfect in any season, but when we visited it in the winter I was amazed at its extra beauty. Munich covered in snow was a sight I will never forget and one that has to be one of my favourite memories. It was not busy when we visited but we found so much to do around the city. It is an easy city to walk and if it is too cold you can hop on a bus or train and get to wherever you are going quickly. It is during this time that you can admire the city without as many people in it and you can enjoy the sites too, sometimes feeling like you are the only ones there. Cold but mild temperatures make the perfect time to visit a German city during the winter. Take Heidelberg, so pretty. Not only is Heidelberg one of Germanys most beautiful cities, it is also the most romantic. There is no better time to enjoy the beauty and romance than winter. Heidelberg is a pretty city, nestled at a scenic spot on the Neckar River, between two mountains. It is very romantic, roaming along its colourful cobbled alleyways, or along the rivers’ edge, looking across to the pastel red roofed buildings. Unlike much of Germany that was bombed during WWII, Heidelberg retains most of its late Medieval and early Renaissance architecture adding to the romantic charm. The main attraction is the picturesque, historical castle ruins which looks majestic sitting high above the old town. Ride the funicular up the steep hill for a magnificent view overlooking the Neckar River. From the Christmas markets below, the spectacular view looking up at the castle adds to the allure. When the crisp winter air bites there is nothing better than to head indoors for a warming Gluhwein at–where else–Café Romantic. Winter is a great time for exploring the 14th century University and walking along the footbridge along the Neckar River is like stepping into the pages of a picture book, gazing up at the spectacular castle set high on the mountain. Across the river take the Philosopher’s Walk and explore quaint gardens, the forest and the unforgettable views. The famous Cologne cathedral peeks out through the Christmas market lights. How festive! With its colorful Christmas markets and adorable architecture, Cologne is the perfect winter destination in Germany for Christmas market lovers. 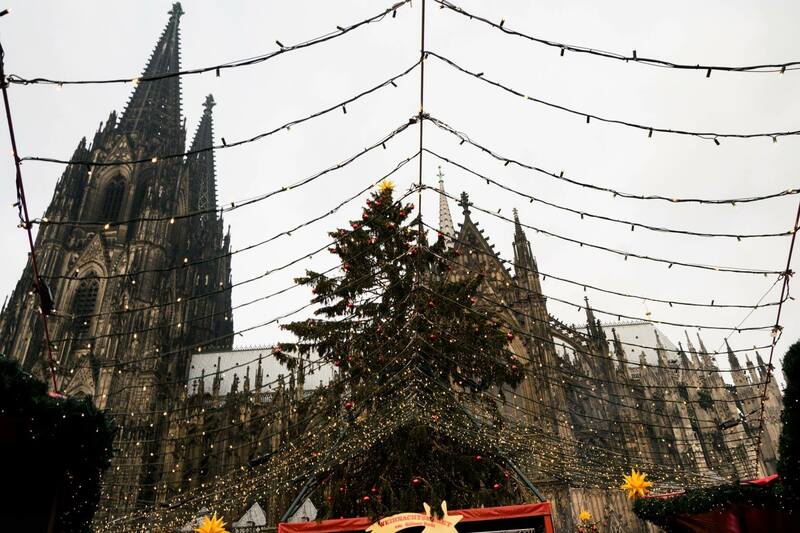 Cologne has over six Christmas markets that make Cologne one of the best German cities to visit in November/December. If you visit Cologne, it’s impossible to miss its iconic church (Kölner Dom) in the city center and the charming winding streets filled with picturesque, colorful houses. Wandering around Cologne in winter is made better with a warm gluhwein. Chocolate lovers will love the Chocolate Museum. Lastly, those lucky enough to attend Cologne’s carnival celebration in February will love the festive atmosphere in Cologne. Be sure to try the local beer, Kölsch, and possibly a boat ride down the scenic Rhine river. Cologne is perfect for couples looking for a romantic winter destination! Leipzig – the German winter wonderland paradise, where all dreams about mulled wine and cute little Christmas stalls come true. The city is located in Sachsen and can easily be reached within 2,5 hours from the German capital Berlin. Especially in winter Leipzig is a true gem. Then, the whole city transforms itself into a massive Christmas market, which connects all different courtyards and major squares. Wander along the cobblestoned alleys and soak in all the beauty that surrounds the buildings, which are true architectural highlights. Apart from that, Leipzig is full of history. Not only can you find beautiful historic churches, but also Auerbachs Keller, which is a restaurant located in a cellar. Originally opened in 1525, it got its fame through Johann Wolfgang Goethe and his Faust. You feel like a little nature? Go on a short daytrip to Zwenkauer See. If you are lucky, you can even go ice-skating here. If not, don’t worry, there will always be some mulled wine around to warm you up. Check out Clemens’ Facebook page as well. Late afternoon light brings a little warmth to the streets of Nuremberg. Nuremberg is the second largest city in Germany with its old town popular for the half-timbered houses and the world-famous traditional Christmas Market which dates back to 1600s. Nuremberg is an easy day trip from Munich but it is worthwhile to spend a couple of days here. 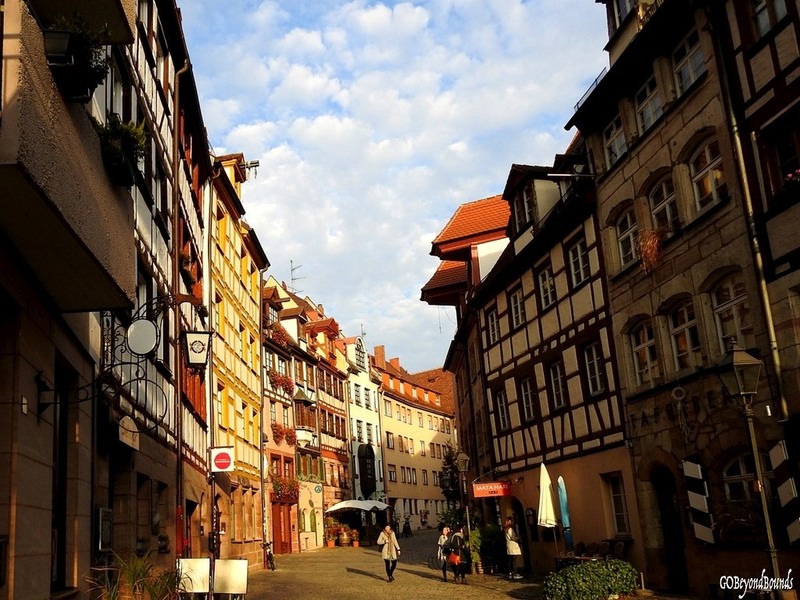 Nuremberg is home to some of the most gorgeous fountains, bridges and magnificent churches with breathtaking architecture and ornate interiors. We visited the city in November and it was still packed with tourists. The Hauptmarkt market square in the old town center is the venue for a huge market every day except Sunday and the same market brightens up with Nuremberg Christmas market with more than 200 stalls selling local handicrafts and products drawing millions of visitors every year. And when you are here do not miss the chance to taste some delicious Nuremberg sausages and pretzels. History buffs can also visit the Nazi Party Rally Grounds and Courthouse where the World War II trials were held. Check out their Facebook page, too! 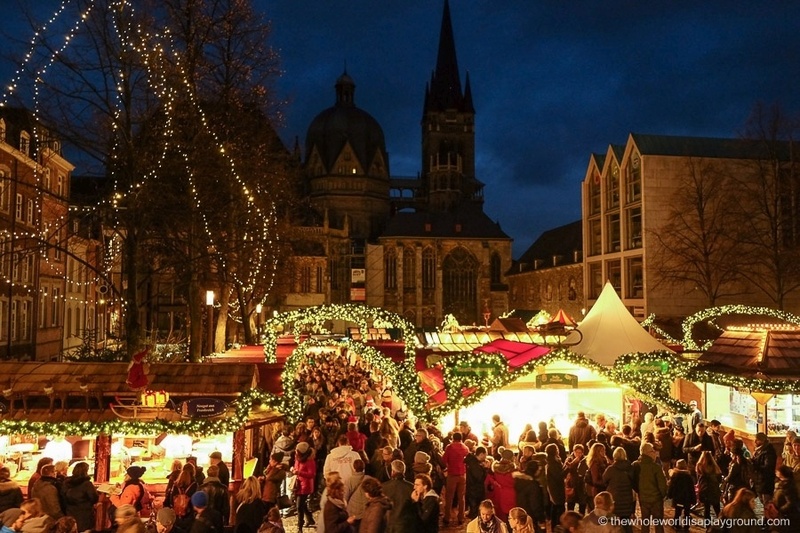 Aachen during the winter, hosts one of the most beautiful Christmas markets in the country. The city of Aachen in northwest Germany is one of our favourite places to visit in Germany during the winter. Also known as the Spa of Kings, Aachen is a mecca for spa lovers and relaxation is the order of the day at Aachen’s most popular spa, the Carolus Thermen Bad. When the thermal baths have sorted all your aches and pains it’s time to explore the incredible Aachen Christmas market. Each December, the entire centre of the old town of Aachen transforms into a truly magical Christmas market wonderland. The winding streets of the old town are jam packed with bustling crowds visiting stalls selling delicious food, holiday gifts and of course mulled wine! Make sure to visit the UNESCO World Heritage Site of Aachen Cathedral, one of the most stunning churches we’ve visited in Europe. This incredible cathedral was the first UNESCO site granted in Germany and was used to crown German emperors for over 600 years. Check out Elaine and David’s Instagram. I hear some people wondering out loud why I think Bremen is a great winter destination in Germany. After all, it is flat – flat, flat, flat and there are no mountains in sight and so there is no chance to go skiing anywhere. The truth is that Bremen is pretty great to visit even in winter despite the lack of mountains. The city has one of the best Christmas markets in Germany. All over the city center are stalls that sell mulled wine, snacks, and gifts, and Bremen feels very Christmas like with all the lights that make Bremen even prettier. If you need a break from shopping and strolling around the Christmas market head to the Schlachte, a popular promenade with many restaurants and cafes lined up. There you’ll get to see even more beautiful winter decorations and stalls – making it one of the most beautiful spots to spend winter. If you are lucky and it snows in Bremen you can have fun and have some snowball fights in one of the many parks close to the city center. If you prefer ice-skating you might get lucky and the river freezes so you can do outdoor ice-skating – if not, there is still the option to visit the indoor ice-skating hall in Bremen. Either way, these options make Bremen a pretty awesome place to visit in winter. Germany in winter is both beautiful and fun. There is tons to do. One of Jim’s and my favorite places to go is Kreuzberg. In mid-winter there is no place better for a snowy winter wonderland walk; enjoy the scenery and then head back to the monastery where the beer and lunch is cheap and delicious. Pin Traveling in Germany during winter for later to help with planning! Lucky for you, Germany is a pretty great destination whenever you come! You will love it! The Christmas markets will certainly put you in season mode. They are so charming. Yogita, If you love winter, come to Germany for sure. I like the different styles in each of the cities but my favourite architecture is the half timbered houses. Nuremberg is one city that I have not visited yet. Rhonda, We are only one hour from Nureberg and love it! Michelle, I do both, look for winter and look for sun. It just depends on my mood. I’ve been to Cologne and Munich, the restvlook equally great. Heidelberg has long been on my list. John has visited a few times on business and loved it. Anabel, We love it all, Heidelberg is gorgeous. I say come explore Germany further. As a German living abroad, this reminds me of home (even though I’m from the north where there is almost no snow in winter, just cold rain…) – thank you! Now I’m even more looking forward to my Christmas holiday back home. Dennis, I love Germany in winter, so much to do and see. Welcome back. Love this post! I’m planning our trip to Munich now and seeing all these photos is getting me super excited! I am looking forward to Fussen, too! We love Fussen; the castles are fantastic…just a little crowded, but of course less so in winter. I’ve not seen enough of Germany yet. And it occurs to me I’ve never been in winter (unless you count zooming through on the autobahn courtesy of my mum when I was about twelve). 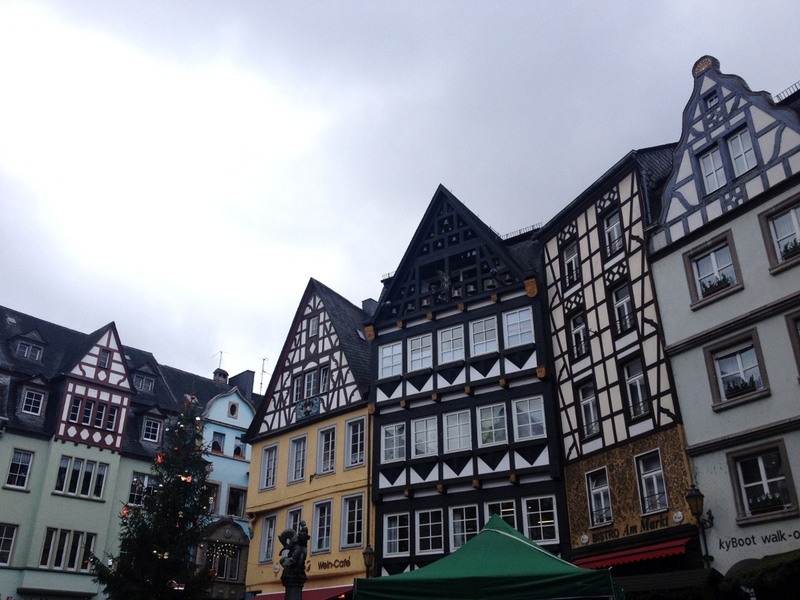 Kreuzberg looks fabulous, as does Cochem – such gorgeous buildings. I have a upcoming birthday trip to book, and I’ve just added to my shortlist. Bernadette, Do it! Germany in winter is so much fun! Great post! I’ve been looking at places to travel in Europe during the winter and your post has given me some good ideas. I’m so glad to hear it! Have fun! I have always thought of Germany as a summer destination because I like to hike, but I can imagine snowshoeing here as well! There’s something so romantic about bundling up in a place with so much history. Jennifer, Yes! If you love outdoor sports, you can come any season of the year and have a great time. Carmen, You will need some time to hit all the great Christmas markets and beautiful cities. I know you will enjoy it when you come. So many beautiful options for winter in Germany! Would love to see the Christmas markets in person! Katherine, The Christmas markets are really worth a trip. You would definitely love them. Lance, Thanks for the compliments. To be honest, Germany is fun any time of year and no matter where you go in the country! I do love Germary in any season but you are right it is pretty magical in the winter season, with the forests and mountains covered in snow. I think my first ever christmas market was the one in Cologne and I went in December with my friends, your picture took me right back there and I would be definitely keen to go again. Mel, I do love Cologne. It’s a great Christmas market to start with. Germany is my favorite country, so much beauty everywhere you go. I’m not familiar with Cochem but it looks magical. Is it, by chance, in Bavaria? 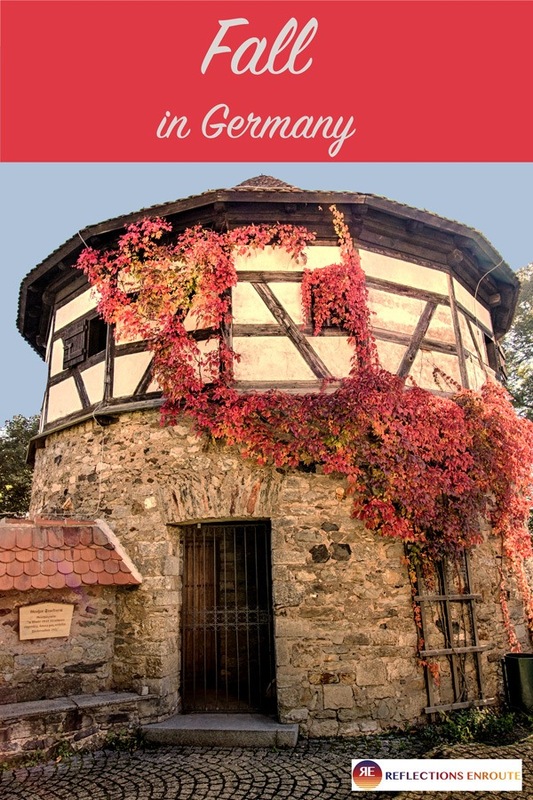 I’ve been to many of these with Viking River cruises and loved them all. Seeing them during the holidays in winter would be spectacular. Melody, No Cochem is on the Mosel river, in the western part of Germany. It’s beautiful! 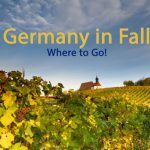 We went to Germany in the fall and covered few of these destinations. They look transformed with that white cover of snow and so much more beautiful too 🙂 Would love to go back in winter sometime. Punita, If you love winter, Germany is the perfect place. 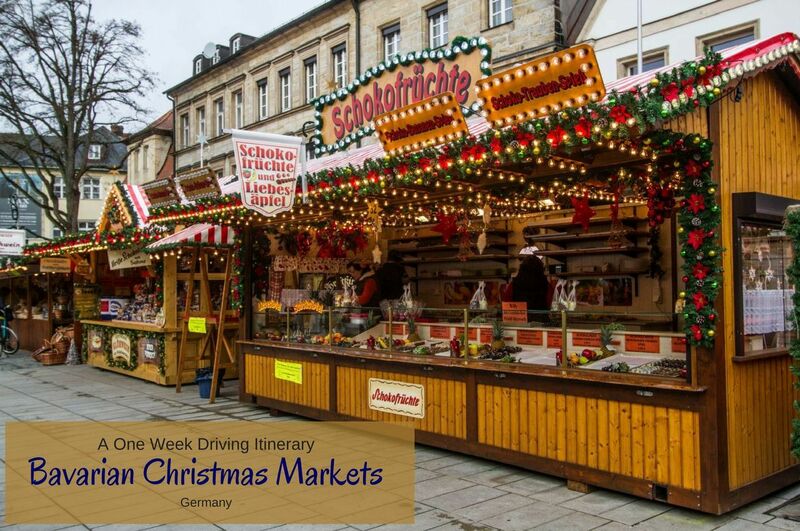 Thanks for including us Corinne, there are still some amazing Christmas markets in Germany we are yet to visit. Lyn, Thanks for your contribution…we love a good Christmas market. 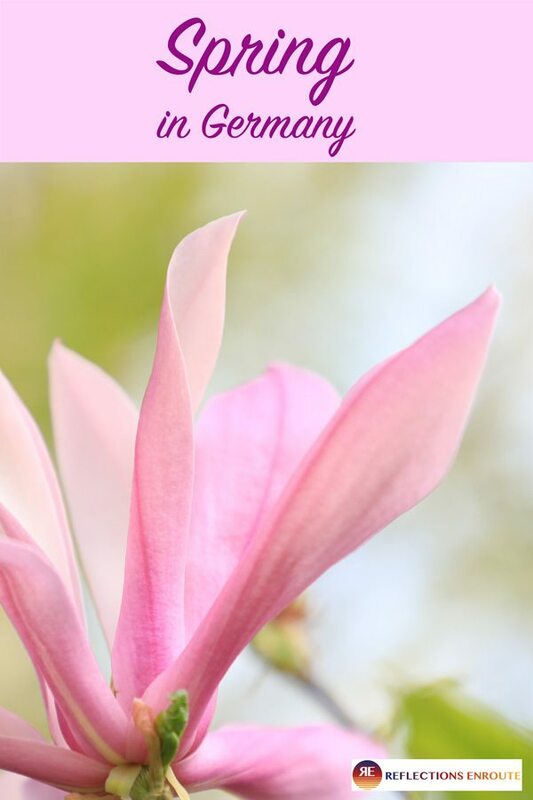 This is a great in depth post! I’ve always wanted to visit Germany! Thanks Alice. Germany is a fantastic destination, no matter the time of year. Germany is fantastic, have you been?